Toilet clogs are never an enjoyable issue to deal with, particularly if you do not have a plunger or auger readily available. 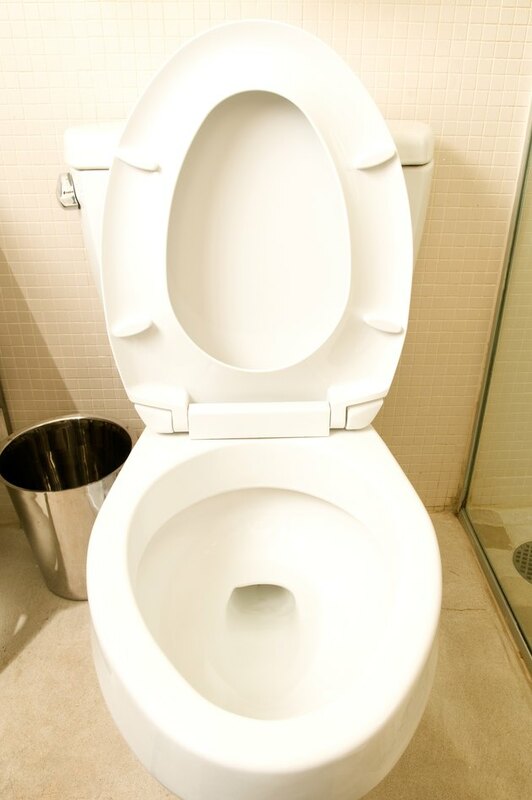 Waste that has built up in the toilet drain will render the toilet inoperable, and with no option to push the waste through the piping system, dissolving it may be your best option. Dissolving and clearing the waste in a clogged drain can be done using common household items, and can be done without the use of chemicals. Dissolving the waste clogging your toilet will clear the drain. Wait until the toilet bowl has drained of water. Not flushing the toilet over a period of time will allow this to occur naturally. Simmer a large pot of water, without bringing it to a boil, using your stove top. Dump the hot water into the toilet bowl and allow it to sit. Repeat until the clog has been dissolved and pushed through the drain. Edmund Lukavics has been writing professionally since 2009. He has served as the copy editor for the blog Hello Moon and has experience in the hotel and travel agency industries. Lukavics is pursuing an associate degree in information technology and website design from the University of Phoenix.